Tri Level, Ac/Heat are electric and located on roof, gas hot water heater. The flooring is tile, wood laminate and carpet. 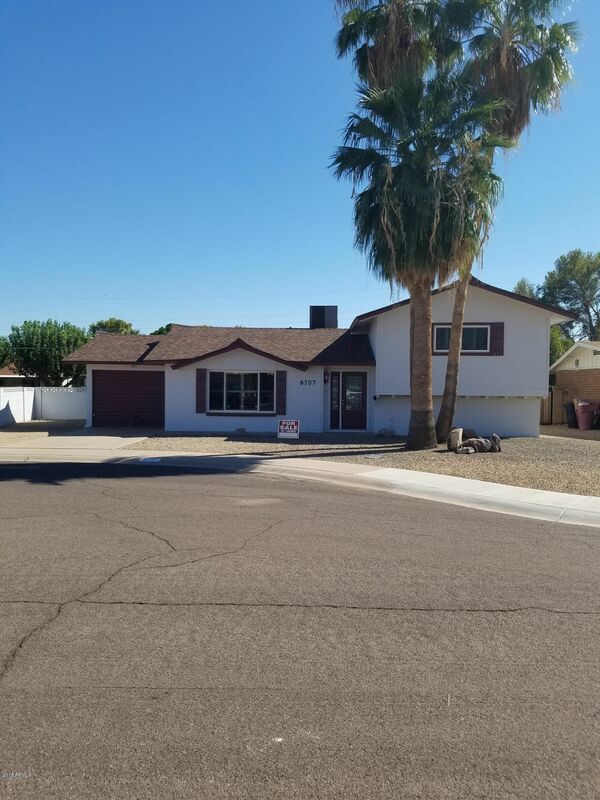 Double pane windows with a life time replacement warranty, crown molding in several rooms, Ceiling fans in all rooms. There is custom cabinetry in bedrooms and Plantation shutters throughout the house. Sewer line has been completely replaced, roof is fairly new. We offer a covered porch and a large back yard. There is a nice built on storage room and a one car garage with space to add on. Perfect location for young families in one of Scottsdale's more popular neighborhoods. Has every amenity there is to have. Schools of all levels are within walking distance.